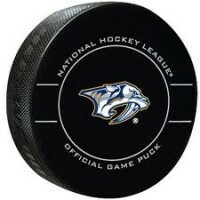 Clarksville, Tn — The Nashville Predators continue to roll through the opposition with a convincing win over the Buffalo Sabres tonight, 4-0. The win completes a sweep of their three game road trip, and Pekka Rinne wins his 11th straight in goal. Nashville defeats their former assistant coach Phil Housley, who is in his first season as the head coach of the Sabres. Buffalo started fast, controlling the offense to begin the affair, outshooting the Predators 13-10 in the opening frame. Buffalo would outshoot Nashville on the night, 35-32. 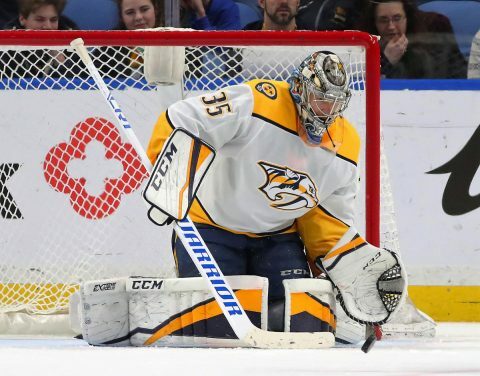 The problem was, they couldn’t break through the leading candidate for the Vezina trophy, Pekka Rinne, who had 35 saves on the night and recorded another shut-out. After a scoreless first period, Mike Fisher scored the game winner at 12:29 of the second period on a tip-in. Miikka Salomaki fired a wrister on net that rebounded off of Buffalo goalie, Linus Ullmark for the Fisher tip, and the Predators took a 1-0 lead. It would be the only goal they would need on the night. Ryan Johansen scored on a wrist shot at 17:03 of the second period and the Predators would end the second period leading 2-0. Filip Forsberg and Viktor Arvidsson would assist on the score. Forsberg would give Nashville a 3-0 lead at 16:09 of the third period on a wrist shot that he scored while falling to the ice in front of net. Arvidsson and Kyle Turris would assist. Nashville’s final tally of the night would come with less than 30 seconds remaining in the game as Ryan Hartman would assure that every Preds fan would receive a Wendys Frosty, for the final 4-0. Austin Watson was taking the night off for the Predators on a “maintenance” day, as Nashville prepares for the Stanley Cup Playoffs. The team has made it clear that they want the Presidents Trophy, as the NHL team with the most points to end the season. With tonight’s win, the Predators lead the league with 106 points. The Tampa Bay Lightning are currently at 102 points. The Predators are 10 points ahead of their nearest central division rivals, the Winnipeg Jets who stand at 96.